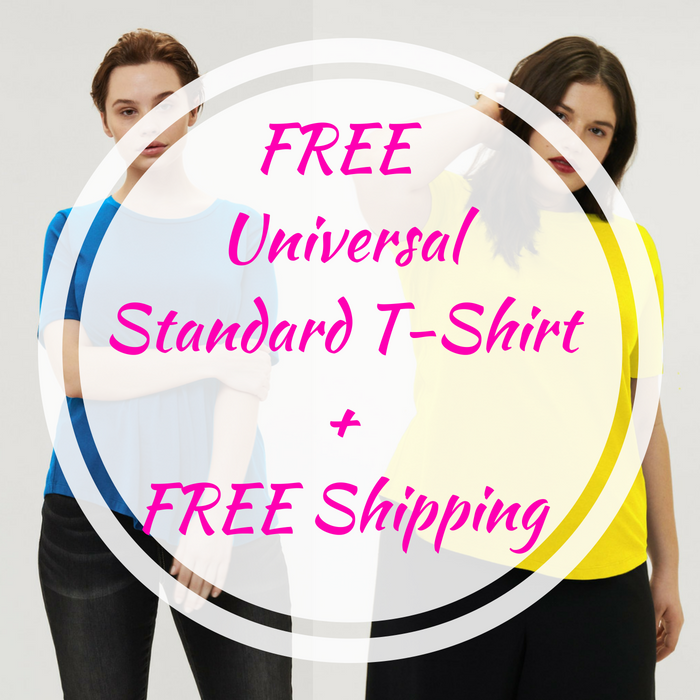 FREE Universal Standard T-Shirt! PLUS FREE Shipping! You are here: Home / FREEbies / FREE Universal Standard T-Shirt! PLUS FREE Shipping! While supplies last! Hurry over to Universal Standard where you can get a FREE Tee Rex T-Shirt ($50 value) for you and a friend when you enter both of your emails here! After doing that, you and your friend will receive a code for a FREE shirt. They offer from size 6 to 32 so you can get anything. PLUS, it’s FREE shipping! Please note that this offer has a limit of 1 per household. This is awesome!